Welcome... We've been expecting you. 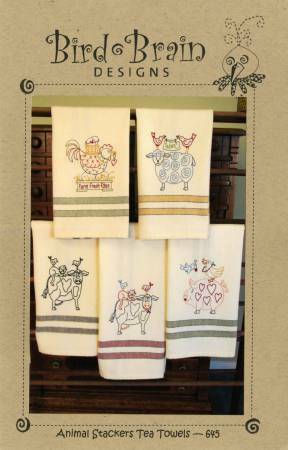 Design area approx 5in x 5in.Embroider "Stacks" of Barnyard animals to decorate yourkitchen! Stitch with colorful Perle or pick just onecolor.